Winter weather has finally arrived in Wales (well, kind of!). 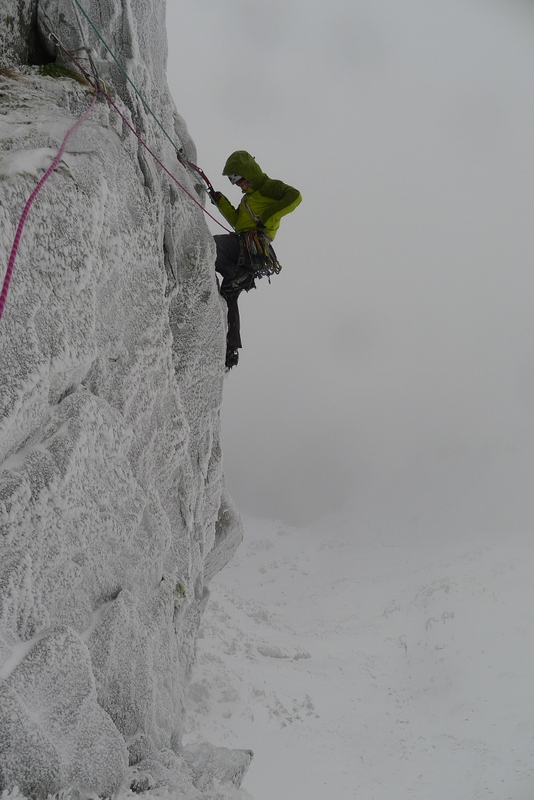 I’ve just enjoyed a couple of days winter climbing up on Clogwyn Du above Ogwen. The freezing level, rather unusually, hasn’t come down to sea level yet this winter and the snow line is still very high (around 500m). So I was rather sceptical walking up through the mud and rain to Clogwyn Du with the irrepressibly enthusiastic winter climbing guru Andy Turner. To our surprise however the final one hundred metres of ascent to the crag showed promising signs of winteriness and through a sudden break in the cloud we saw a totally white crag which even had a pair of in-situ climbers on it! Our objective was a modern classic test-piece called ‘Travesty’ to kick-start our winter seasons. Having attempted the line the previous winter and gone the wrong way I was keen to get things straight. 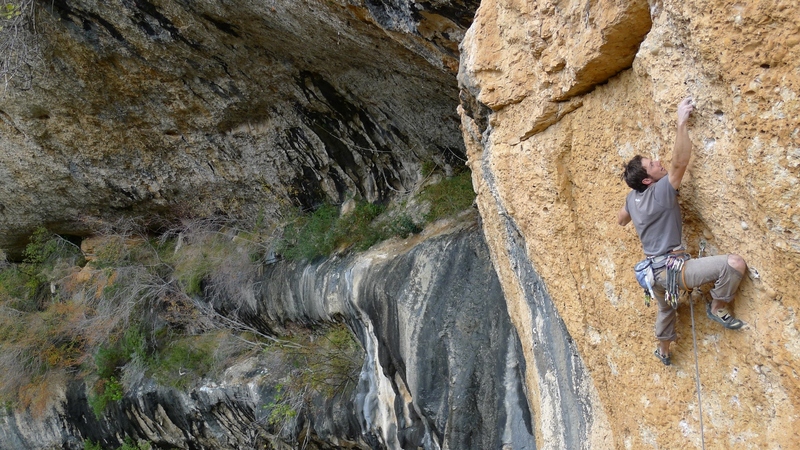 The crux pitch is a relatively short and wild traverse around the nose of the crag. It went smoothly enough (apart from getting hot-aches halfway through the pitch!) 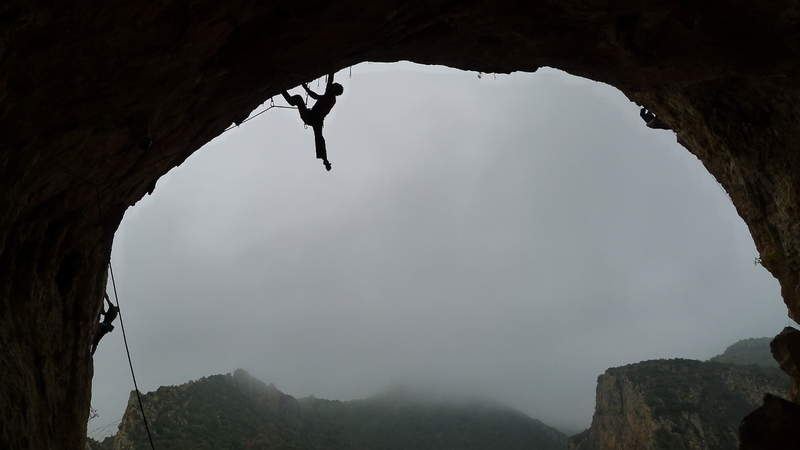 and I was soon in sinker hooks racing up the easy ground to the belay. 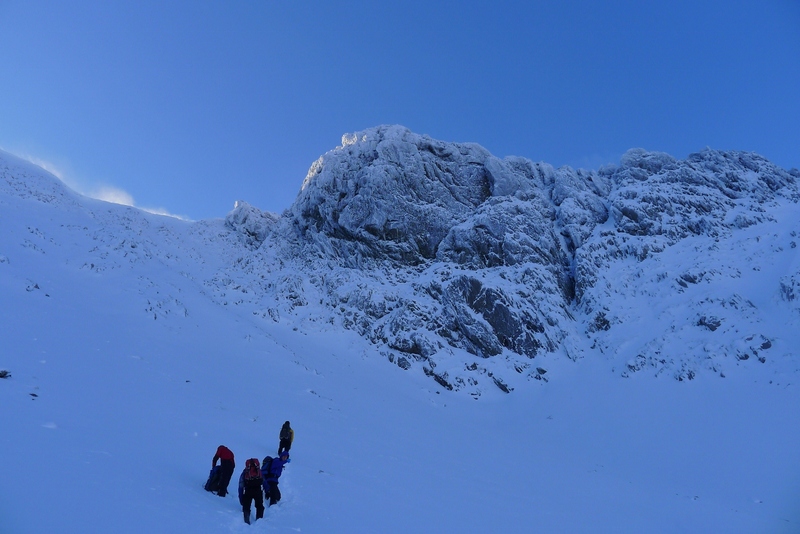 Andy cruised along to the belay in a matter of minutes whilst carrying a bag (git!) and smoothly led through up the easier but still very enjoyable climbing to a very windy ridge. The following day I was back up to a considerably busier Clogwyn Du to do a pleasant(?) squeeze chimney called ‘Pillar Chimney’ before work. I also wore my new ‘Stretch Neo Jacket and Pants’ properly for the first time. Both items have a really nice cut and fit and Polartec’s NeoShell fabric is undoubtedly the best fully waterproof fabric I’ve ever used. Very breathable, very waterproof and very comfy when you’re being battered by spindrift! 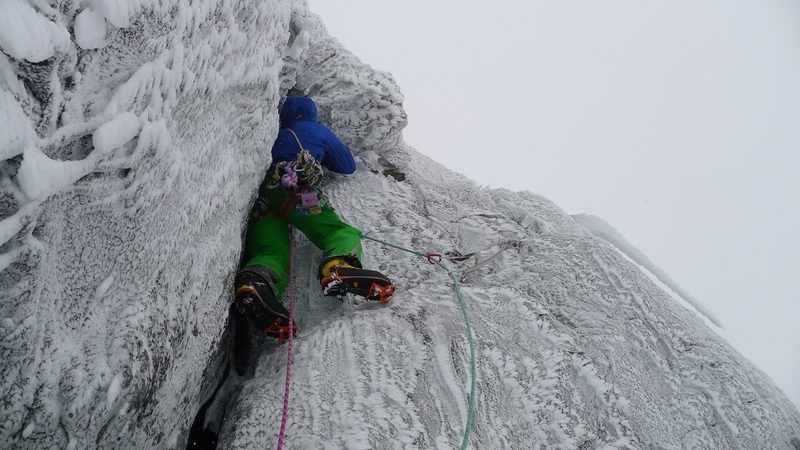 That could well be the end of our first spell of winter weather as temperatures are rising and rain is falling but it was a pleasant change to trying to rock climb in freezing weather. Other than that I’ve been climbing on slate a fair bit trying some projects and climbing a couple of routes that I hadn’t done before on the awesome Rainbow slab: highlights include the rarely climbed ‘Chewing the Cwd’ E5 6a and getting close to flashing ‘Naked Before the Beast’ E6 6c which James McHaffie casually on-sighted before me. Anyway, time to enjoy more important things like mince pies and Christmas cake now. Have a good Christmas! 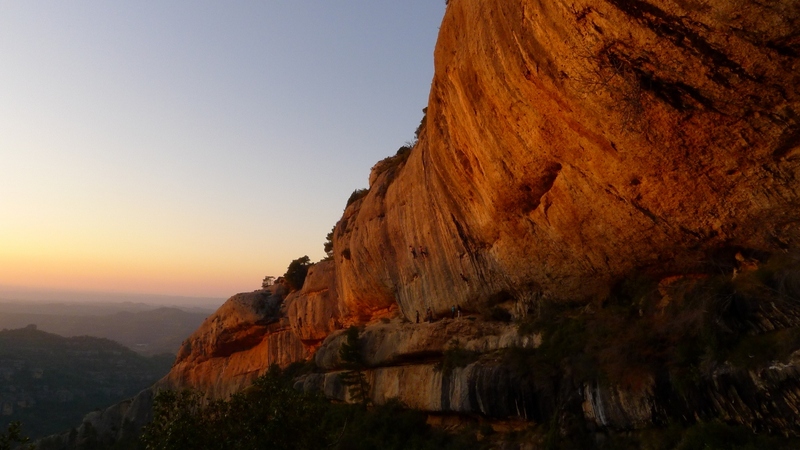 I’ve just returned from a fantastic few weeks in the Spanish sport climbing Mecca of Margalef. Despite having been on many climbing trips, mainly multi pitch trad or alpine climbing this was my first sport climbing holiday and great fun. I travelled over to Spain with a group of friends from all over Britain meeting up with other friends already out there. Our first destination was Margalef, a small village nestled in between two valleys full of amazing climbing on conglomerate cliffs. 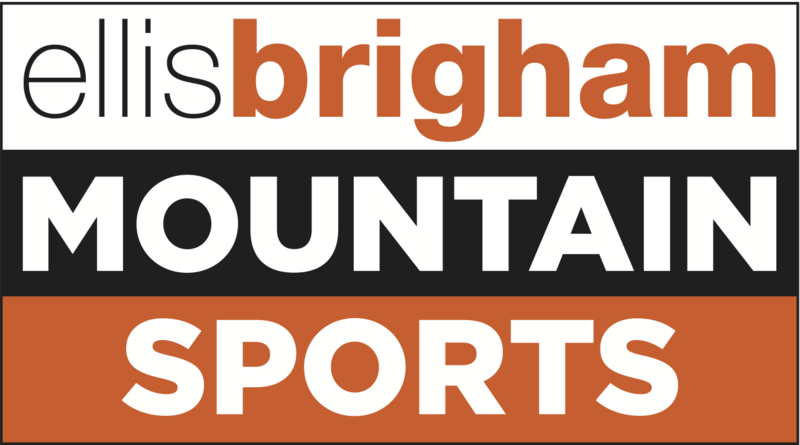 There is enough climbing here to keep you occupied for a lifetime and there are certainly twice as many undeveloped areas out there as developed ones. The climbing is often on positive pockets varying between full handholds and single finger pockets on a plethora of different angles; it’s slightly difficult to get used to at first but very enjoyable and aesthetic when you do. I only tried on-sighting or flashing routes as I don’t have the patience to repeatedly fall off the same route- especially on holiday! It was really fun climbing like this as in Wales you end up having to red-point sport routes or else you run out of things to do. I was astonished at how relatively poor my stamina was for resting and climbing long routes, some of the holds I fell off were jugs! 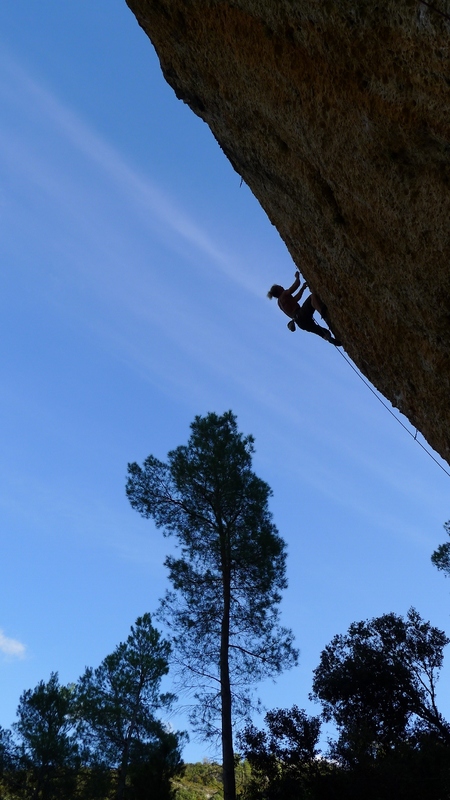 My favourite venues in Margalef were Fenestra for its variety of styles of climbing and its northerly aspect, important for hot days and the Hermitage, a beautiful venue at the head of a valley with some long routes on perfect rock beginning off a ledge. Rest days were equally enjoyable eating food, learning mathematical theorems off Blair and Tony (!) and playing a game of cards called ****head which often decided upon who was making brews or doing the dishes! 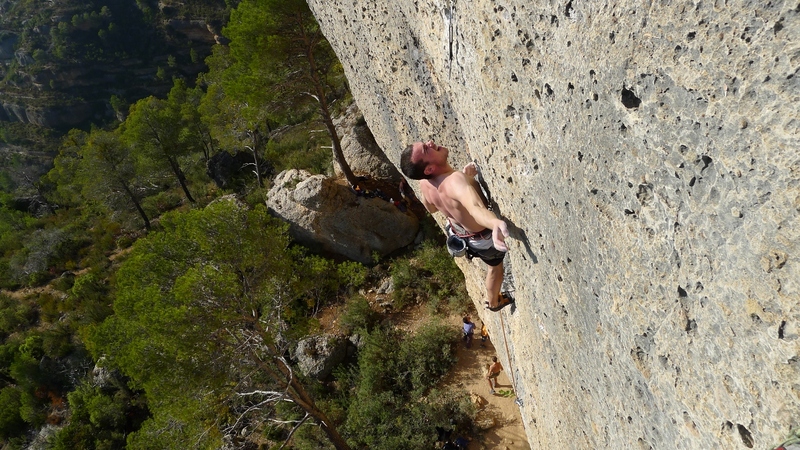 We also made a quick trip up North to an area called Terradets with the justifiably famous crag Les Bruixes. This is an amazing wall of tufas overhanging considerably and with rather long routes, in fact, routes longer than my arms could sustain me up! Unfortunately, the weather wasn’t great whilst we were up there and I caught a cold so we decided to head back to Margalef which is a bit further south and at a lower altitude. The final week of climbing was also enjoyable and the final day was spent climbing (sunbathing!) in the sun above an ocean of clouds. I feel really fit now that I’m back home but Wales isn’t the perfect place for rock climbing in December so I might start sharpening my ice axes in (hopeful) anticipation of a good winter and start getting the Rab duvet jackets out!